Autism is characterized by impairments in social and communication skills. It is diagnosed early in development, often within the first 3 years of life, and can have a profound effect on social and emotional wellbeing of both the child and caregivers. Currently, risperidone is approved to treat symptoms of irritability and aggression in children with autism. However, no medication is currently available to treat autism itself. Biomodels offers a mouse model of autism based on the BTBR T+tf/J (BTBR) inbred strain. BTBR mice display deficits in social behaviors including social approach, social interaction and abnormal ultrasonic vocalizations. These unique behavioral phenotypes of the BTBR mouse represent possible analogs to social and communication deficits presented in the human condition. 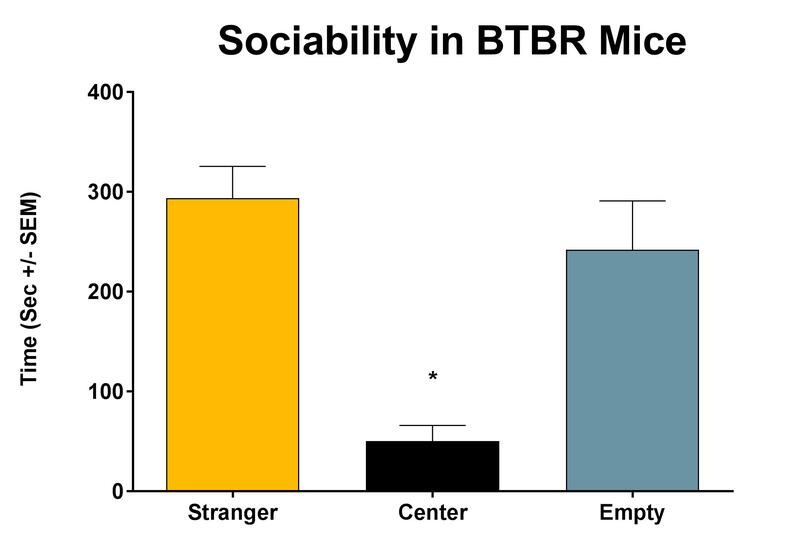 Biomodels has validated an index of sociability in BTBR mice using the three chambered social approach test. The social approach test measures the amount of time the animal spends in a chamber with a restrained conspecific versus the amount of time the animal spends alone. 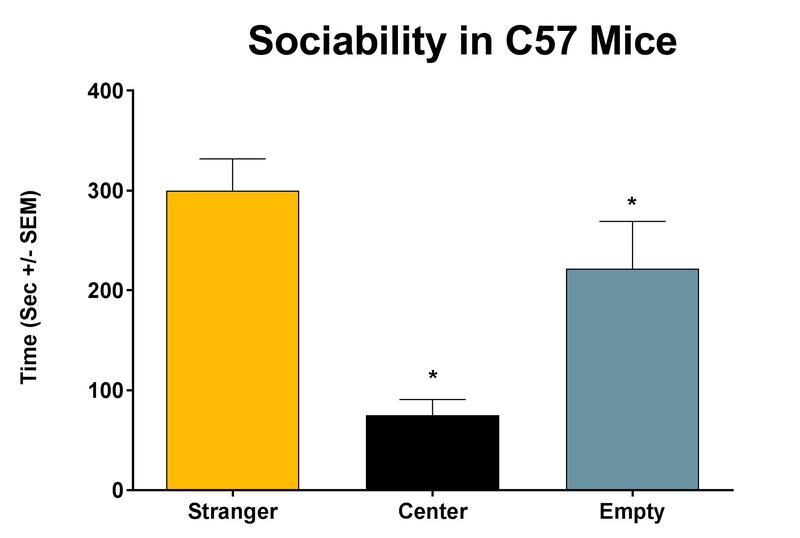 BTBR mice do not demonstrate a preference toward the chamber containing a novel mouse suggesting impairment in social behaviors. Novel compounds which alleviate this deficit may be efficacious in improving symptoms of autism in humans.